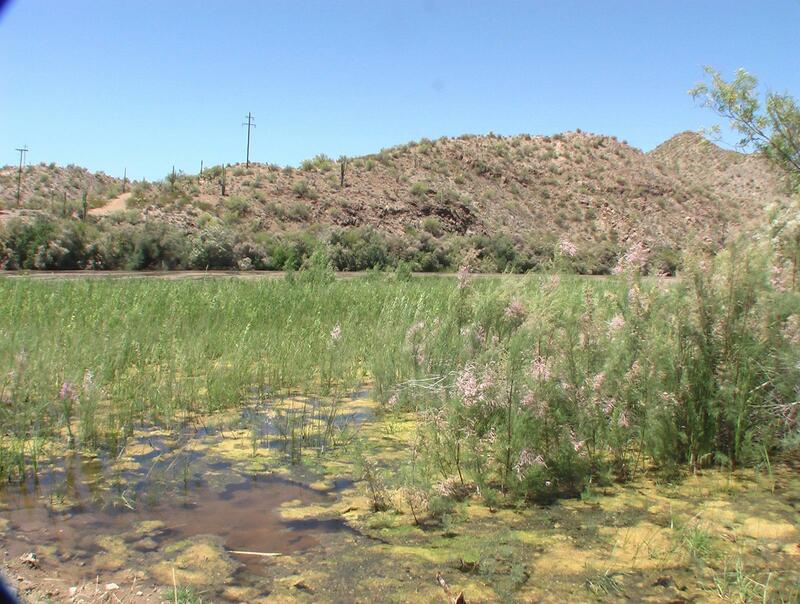 Properties with Arizona Water Rights for Sale. Properties with water rights are available for sale. We can provide professional hydrologists, engineers, specialists in water rights, as well as legal consulting for these properties. Properties with water rights require more information and services than standard properties. Water rights, in Arizona, are generally referred to as surface water rights or groundwater rights. The Arizona Department of Water Resources (ADWR) regulates the use of surface water throughout the state. Groundwater use is regulated within Active Management Areas (AMAs) and in Irrigation Non-Expansion Areas (INAs). Even the Colorado River water contracts are subject to ADWR approval, although contracts are issued directly between individual entities and the Bureau of Reclamation. Surface water is water in streams, rivers lakes, ponds, and any water on the surface that reaches a stream channel as well as that which is defined as flowing in underground streams (generally referred to as the subflow of streams). Surface water rights include: i). Stock Pond Rights, ii). water rights in any of the sources noted above, iii). Miscellaneous Present Perfected Rights along the Colorado River that predate 1929, and iv.). Contract Colorado River Rights. All surface water rights are given priority dates reflecting the actual date when they were first applied for by the water user or were recorded in a County Recorders office prior to 1919. Groundwater is all water beneath the surface of the earth that percolates down to the groundwater table. Within the Active Management Areas (AMAs) one may have Irrigation Grandfathered Rights, Retired Irrigation Rights, Type One Rights, and Type Two Rights. One may also accumulate Groundwater Storage Credits, Underground Storage Credits, and Reclaimed Effluent Storage Credits, all of which may be sold. Surface water rights, which are found all over the state, can be severed and transferred off of the land to which they are attached, subject to certain statutory provisions. Groundwater rights are only designated within AMAs and in INAs. Outside of AMAs and INAs one may drill a well, extract the water and put it to a beneficial use and there are few restrictions. However, it is illegal to waste groundwater regardless of where it is found and under certain circumstances it is illegal to detrimentally impact a neighbors well by over pumping one’s own well. It is possible to purchase or sell water rights, but there are limitations regarding where they can be used, how they may be severed and transferred, and to where they may be transferred. Groundwater can not be transferred across groundwater basin boundaries (except under specific statutory provisions that are set up for INA groundwater rights) nor can surface water be generally transferred out of its watershed. Let a qualified, registered geologist assist you in the selection, acquisition and transfer of water rights. The Big Sandy Ranch is located on the Big Sandy River that originates in the mountains of northwestern Arizona (close to Kingman), runs southerly past Wikieup, where it turns to the west and enters the Colorado River in Lake Havasu just north of Parker Dam. The Ranch straddles the river, from which it takes water pursuant to a 1900 priority water right claim. This water is used for the irrigation of land (immediately north of the rivers floodplain), stock watering and domestic purposes. 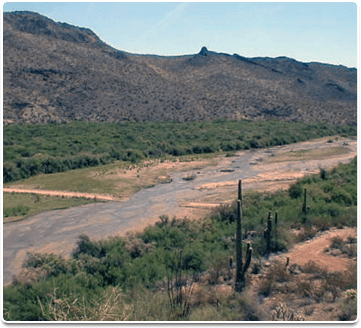 A pre-1919 Statement of Claim has been filed with the Arizona Department of Water Resources for 813 acre-feet of water that is taken out of the Big Sandy River. 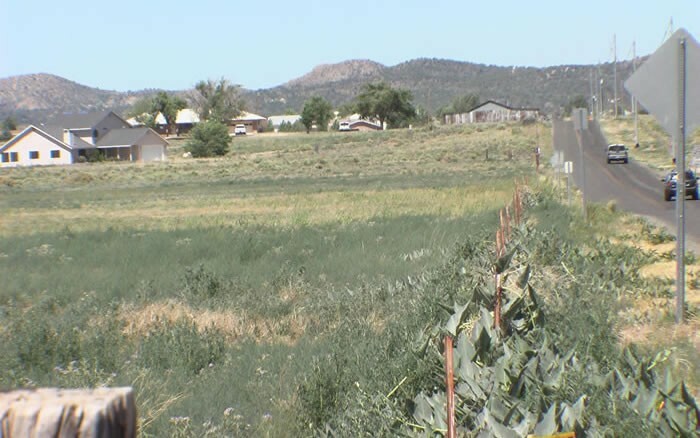 It has been historically and continuously used for the irrigation of all or parts of 160 acres and is officially filed with the Arizona Department of Water Resources as files No. 36-105380 and 36-19867. The legal bases for this Claim is filings in the Mohave County Water Rights and Mill Sites Records, Book 2, p. 209, Febuary 6th, 1915 and Book 2, p. 379. July 21st, 1918. Furthermore, there are three wells on the Big Sandy Ranch that are developed in the floodplain of the river. These wells were installed at a latter date to combat the decline in flow in the river from upstream extractions, however they represent three additional diversion points of surface water that has been used to irrigate the crops on the Ranch. Two wells, with relative low production, are functional and the larger production well has had its pump removed but could quickly be put back into operation. The Big Sandy Ranch is composed of 937 fee titled acres with an updated ranch house and is located approximately 6 miles west of Highway 93 on Signal Road near Wikieup, in Mohave Count, Arizona. It is accessed by a gravel road, which parallels the river and crosses it by way of a low water crossing, just as one enters the eastern part of the Ranch. The fee ownership is broken up into three discontinuous parcels that are all positioned for view lots running down to and into the river on the subject parcels. The river flows discontinuously through the Ranch property, sometime going dry in June. 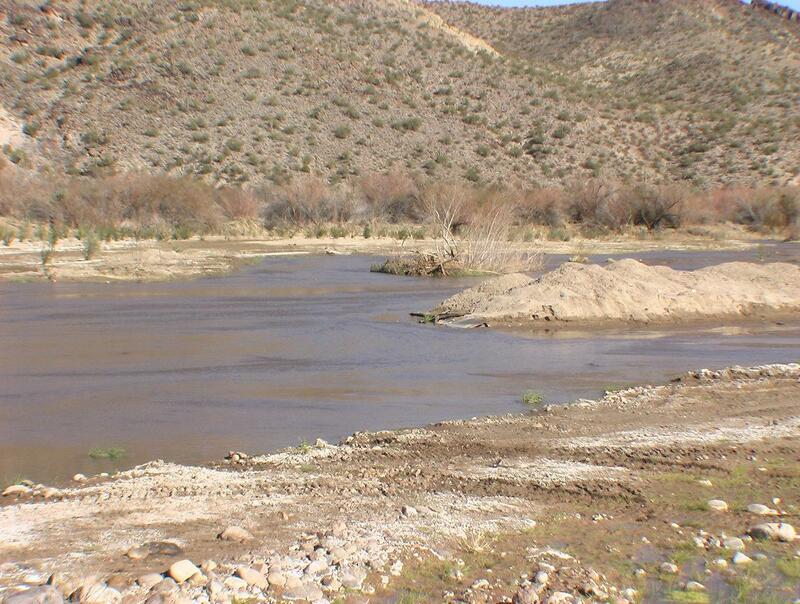 The Big Sandy Ranch also has a large riparian area (approximately 217 acres) that parallels the river. The owners are considering filing for an In-Stream water right, however the priority date would be the date of filing. This land could be utilized for mitigating damage to the riparian corridor in other parts of the watershed and for avian/wildlife habitat on site.